First, start the pasta according to directions on the package, using a fairly large pot. The pasta will take the longest to prepare. Next, start the cheese sauce – melt butter in a medium sized pot on medium-high heat. Add in flour and whisk continuously for about a minute. Keep whisking while adding in the milk. Bring the mixture to a boil, while continuing to whisk. Once at a boil, cook for about 2 minutes. Add in the parmesan cheese, salt, pepper, and paprika. Keep whisking! When your sauce is smooth and not lumpy, it is done. Drain pasta when done, and put it back into the pot. When cheese sauce is ready, add it to the pasta. 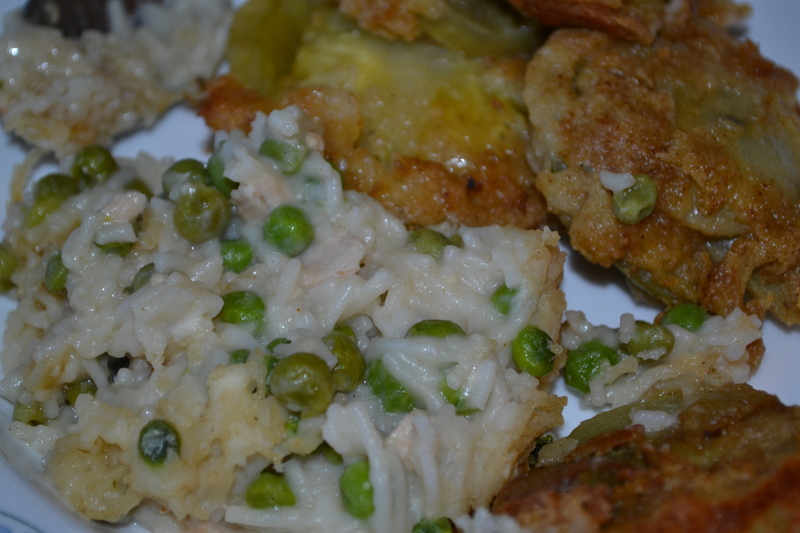 Also add the tuna and peas at this time. Stir over low to medium heat until peas are hot. 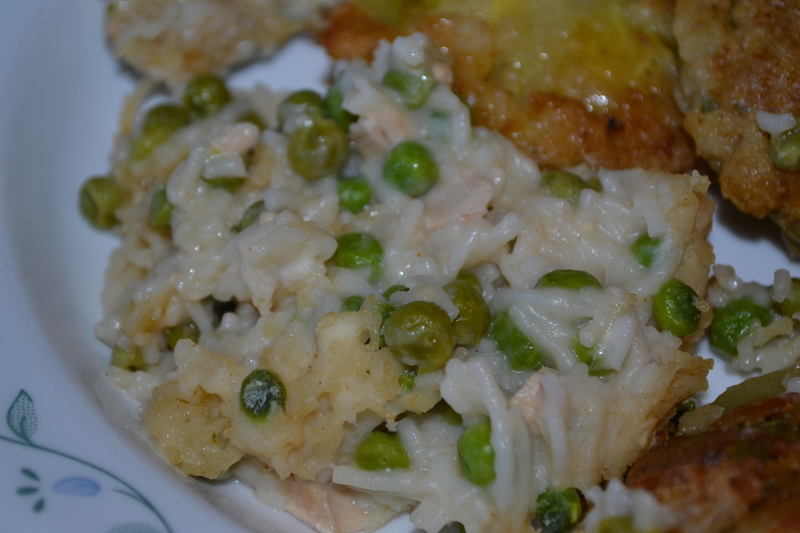 This entry was tagged green peas, parmesan cheese sauce, recipe, tuna, Tuna and Peas with Parmesan Cheese Sauce. Bookmark the permalink.